The history of Canadian astronomy began when the first European explorers used astronomical observations to guide them over the ocean and to navigate our waterways. John Cabot, who discovered Newfoundland in 1497, and Jacques Cartier, who explored further inland by way of the Saint-Lawrence River in 1534, were undoubtedly the first explorers that used astronomical instruments to locate the landmass now known as Canada. It was in 1603, with the arrival of Samuel de Champlain, that the roots of astronomy really took hold in Canada. 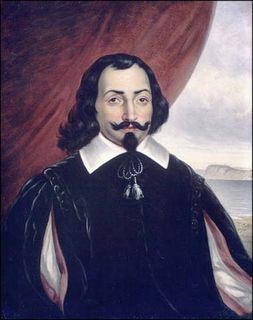 In 1608, de Champlain founded Quebec City and would go on to become the first governor of New France. Under his rule, explorers had to maintain records of the places they visited, and these often included a determination of the location’s latitude for which they would have required the use of astronomical instruments (longitude was rarely recorded because the methods of the time were unreliable). It was also during the Champlain era that French missionaries, the Jesuits, first set foot on Canadian soil in 1604. 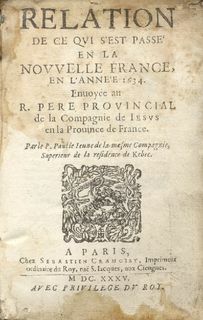 By 1618, they had begun to record astronomical observations (most notably about comets and eclipses) and included them in the reports sent back to France (titled Relations in French). 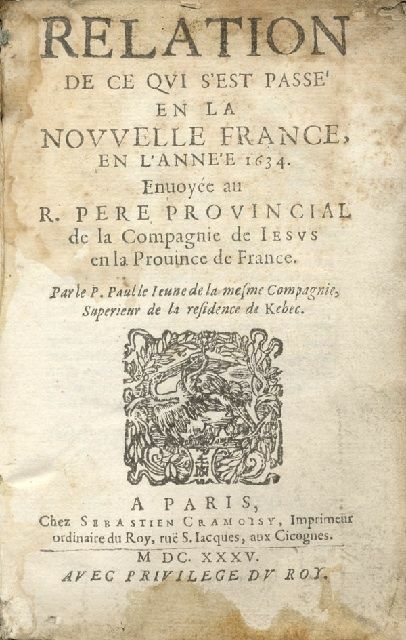 In 1634, astronomy officially became a part of the tasks assigned to Jean Bourdon, the Engineer-in-Chief and Land Surveyor for the New France colony in Quebec. He was the first Canadian to own a telescope, a gift from the Jesuits in 1646, and was likely the first person in Canada to teach astronomy, as it would almost certainly have been a topic in the hydrography courses he gave at the College of Quebec in the 1630’s. During the time of the early settlers, the function of astronomy was primarily practical. It was the science of colonization par excellence, used to draw up accurate geographic maps and to tell time precisely.